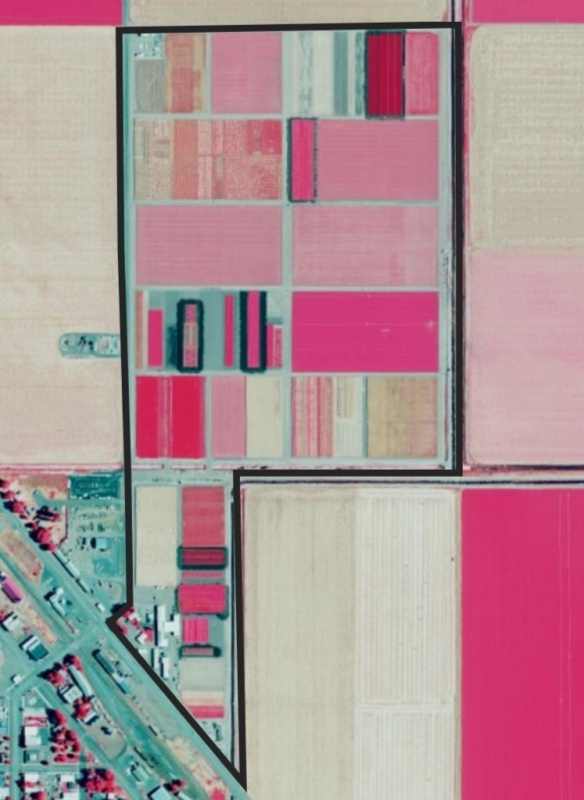 The National Agriculture Imagery Program (NAIP) is a USDA service which has been collecting aerial imagery once a year during the growing season for the entire continental US. Established in 2003, the images are taken from airplanes and then stitched together to create a four band (blue, green, red, & near-infrared) digital orthomosiac at a one-meter resolution. This dataset has become the foundation for many important analyses across the country, including crop distribution maps and agricultural forecasts, and has served as the basemap for countless maps. For us in IGIS, NAIP imagery is one of our go-to datasets for map backdrops or raw data for things like classification or georeferencing drone images. ESRI makes NAIP imagery easy to use by distributing it through their ArcGIS online platform. Aside from its national scope and high quality, a big reason why NAIP imagery has been so widely used is because it has always been public domain, available at no cost through the USDA Geospatial Data Gateway. But this may soon be changing. As recently reported on GIS Lounge, the USDA Farm Services Agency (FSA) is considering making NAIP a Commercial-Off-The-Shelf (COTS) product subject to a license. This means everyone, including government agencies and researchers, would have to start paying for the data, and have limitations on what they can do. According to a recent presentation by John Mootz, Imagery Program Manager at the FSA Aerial Photography Field Office, the switch to a license model may become necessary because the current funding model isn't working. NAIP is funded under an innovative arrangement where costs are shared by state and federal agencies (not unlike Cooperative Extension). However, some states haven't been paying their bills, leaving a $3.1 million shortfall over the past few years. Aside from being financially unsustainable, late or missing payments cause delays in scheduling flights which can result in images being collected past the peak agriculture growth season. The time it takes to process the data, which has already stretched from 2 years to 3 years, is also affected. What does this mean for ag? For cash-strapped agencies, researchers, and members of the public, losing access to a valuable dataset is never a good thing. But a lot of questions are still unknown. Collecting geospatial data is expensive, particularly for the entire USA, and as we've already seen with NAIP funding shortfalls can affect the quality and timeliness of the data. A lot of other data collection is funded through license models, which can work well if they are affordable and licenses tailored to the different needs of users. How will the state agencies who have been funding NAIP respond if FSA switches to a license model? Could other technologies fill the gap, such as the many commercial high resolution satellites that are now in orbit? Can political will be mobilized to convince USDA that collecting data that serves a public good is a good role for government, or has that cow left the barn? FSA needs to make a decision by May 1, 2018 whether or not to change the distribution model for the NAIP 2019 data (to be collected in summer 2019). They are currently collecting impact statements "to allow FSA leadership a clear understanding before they make the final decision". MapBox, the popular mapping engine, for example has come out strongly in favor of keeping NAIP open. If this affects you, please leave a comment below and also consider letting the FSA know how your work would be impacted, for better or worse, if NAIP data become licensed.